Showing 1 - 15 of 26 articles tagged "Gotham"
Thursday's episode could've been a completely satisfying end to the Fox Batman drama series. 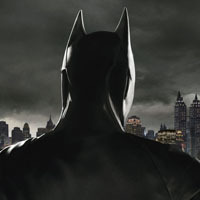 Check out Cameron Monaghan as "J.
Gotham unveils final season "movie trailer"
The fifth and final season of the Batman origin series premieres on Jan. The Dexter alum will play Gordon's principal nemesis on the final season. Gotham's fifth and final season, premiering on Jan.
West will be introduced as Eduardo Dorrance, who served alongside Jim Gordon in the Army.